The Hermes Birkin Handbag Giveaway! Adonis Cabaret has teamed up with www.GOCityGirl.com a fantastic new lifestyle site to give you this opportunity. We almost didn’t want to tell you about this truly fashion-fabulous giveaway! An iconic Hermes Birkin handbag, the world’s most wanted arm candy, is up for grabs for one lucky girl until Monday April 18th! Of course ladies, it’s a truth universally acknowledged that folks that give away a Birkin must have an ulterior motive. 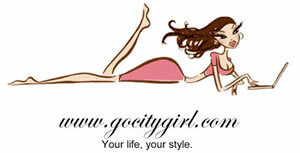 The root cause of all this excitement is new lifestyle website www.GOCityGirl.com – a brand new concept that will allow you to shop, socialise and swap best-kept lifestyle secrets at a click. For your chance to win the Birkin, all you need to do is click the link and join the site for free. With super-stylish knowledge comes great power… and with it, great responsibility. So pass it on to your most deserving gal pals, with caution! The all new hilarious Adonis Naked Trousersnake Orchestra, will be hitting your TV screens and headlining Adonis Cabaret shows around the UK this summer. Catch them at a show near you! Look forward to some great new acts at the Adonis UK shows in 2011, including acts from Britain’s Got Talent and X Factor like our friends The Chippendoubles and ex-stripper, now superstar of fun, Chico. Love to see you handbag in tow at the show! **This is not spam, we only have your email as you or someone else has signed up for our info, if you don’t want to receive our lovely freebee deals or fun stuff, don’t be mad, just click unsubscribe at the bottom of this mail, no harm done, simple!